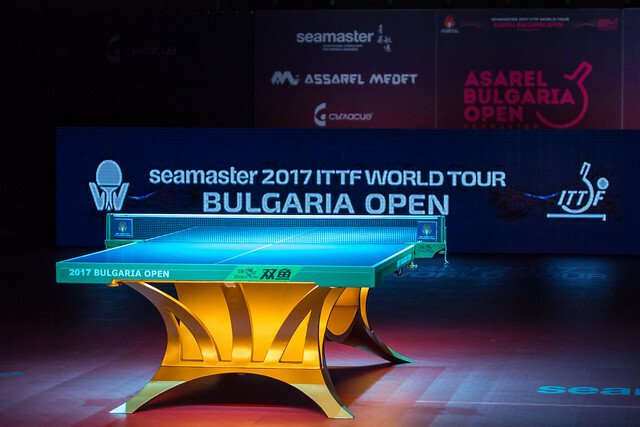 After one round of Women's Singles matches at the Seamaster 2017 ITTF World Tour Asarel Bulgaria Open the title was guaranteed to be awarded to Japan, and now the identities of the two finalists who will be fighting to lift the trophy are known after Mima Ito and Kasumi Ishikawa came through their respective semi-finals encounters on Saturday 19th August. Mima Ito is looking to win her first Women’s Singles gold medal on the 2017 ITTF World Tour and is just one win away from accomplishing that feat in Panagyurishte after prevailing in her last four tie against Honoka Hashimoto. Occupying second position on the seeding list Mima Ito would have been disappointed to have missed out on reaching the final and was determined not to let her fourth seeded opponent find any form of momentum in the fixture. Five games were played out in the match, and while Hashimoto gave a good account of herself it was Ito who ultimately came through the tie smiling (3-11, 11-9, 6-11, 7-11, 8-11). However, the challenge will only get tougher for Mima Ito with Kasumi Ishikawa providing the opposition in the Women’s Singles final. Top seed Kasumi Ishikawa took on Miyu Kato, who has been in impressive form in Panagyurishte and the latter player put in another decent showing in the semi-finals match. Yet, it was Ishikawa who came out on top in the tie with a six games victory (14-16, 11-8, 11-1, 4-11, 11-5, 13-11) and will appear in a Women’s Singles final on the ITTF World Tour for the second time in 2017. The final between Mima Ito and Kasumi Ishikawa will take place at 15:00pm on Sunday 20th August.